Plunge into the absolute coolest water park. 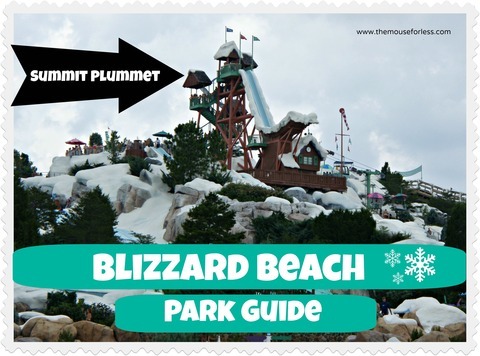 Legend has it that the snow-capped mountain world of Disney’s Blizzard Beach Water Park was built as a ski resort. Now it has melted in the Florida sun, and created some great water fun. Experience thrills of the 120-foot-tall Summit Plummet water slide. Kids will love the “bunny slope” -level areas just for them. Plus, the whole gang can share the relaxation of tube floats and the fun of family fluming together. With water heated year-round between 75 and 80 degrees, the melting snow provides a comfortable setting for water play. With twelve attractions and plenty of food vendors there is lots to do for the whole family. And be sure to get your photo with the Disney Snowman family located near the front of the park! They’re dressed up and ready for a day at the parks, including wearing Mouse Ears! Location: Blizzard Beach is located in Disney’s Animal Kingdom resort area between Disney’s Coronado Springs Resort and Disney’s All-Star Resorts at Buena Vista Drive/Osceola Parkway intersection. Access: There is a vehicle parking lot with free parking located off of Buena Vista Drive and is next to park entrance. Buses are operated from the Transportation and Ticket Center and Walt Disney World resort hotels. Deciding what ticket to get for your visit to Magic Kingdom is no simple matter. 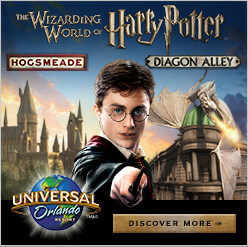 You can get a ticket with one-day’s worth of admission to a water park or you can add the Park Hopper Plus option to your admission or Disney package. Park Hopper Plus includes water parks, miniature golf and golf at Disney’s Oak Trail Golf Course, and ESPN Wide World of Sports Complex. 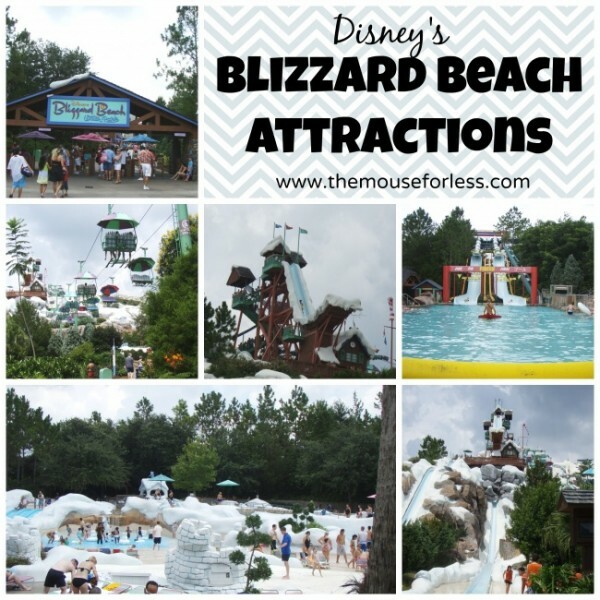 For detailed information on Blizzard Beach admission visit MFL’s Walt Disney World Ticket Options page. Children under the age of 14 may not enter Blizzard Beach water park unless they are accompanied by another person age 14 or older. Throughout the park Disney PhotoPass photographers will capture guests caught up in the Disney experience. Disney’s PhotoPass and Memory Maker gives guests the opportunity to have great high-resolution photos taken by Disney Photographers using state-of-the-art digital equipment at picturesque locations. Even better, your photos can be accessed, shared, and ordered online. Visit our Disney’s Disney’s PhotoPass Guide for more information on Disney’s PhotoPass service. During Summer 2016 Kristoff and Olaf are hosting a special Frozen competition throughout the day at Blizzard Beach. This special event does not cost extra and does not require any sign-up. Guests may simply join in the fun and compete for team Olaf or Kristoff. This event includes small crafts and activities. Note: Diaper age children must wear swim diapers. Visit our Height Requirement page for height requirements to all Walt Disney World attractions. In the water park it is not uncommon for kids to escape their ever watchful parents. There are Disney cast members and life guards everywhere so children are relatively safe while at Blizzard Beach. If your child does get separated from you they will be taken to the Lost Children kiosk near the entrance to the park. Here, a Cast Member will play games with them and keep them calm until the child’s parents are found. Life Jackets are available for a deposit that will be returned. Guests may also bring their own. All children of diaper age must wear a swim diaper. Be sure to take plenty of breaks. The kids area at Blizzard Beach is called Tike’s Peak, and only children under 48″ tall and their parents are permitted to play here. Guests to Blizzard Beach may bring food baskets and coolers that can be safely carried into the park. No glass containers or alcoholic beverages are allowed. Merchandise shops inside the park sell healthy snack options. For those who prefer to leave the cooking to Disney, the following selections are available. Click on the name below for menu. Visit our WDW Menu Page for a complete list of menus available for Walt Disney World. Water Park Refillable Mugs are sold at Blizzard Beach and Blizzard Beach and include free refills for the day of the purchase only. The Refillable Mug can be used for another visit to the park. Just bring back the mug and pay to activate the RFID chip for the day. Guests to Blizzard Beach may reserve either the Getaway Glen Umbrellas or the Beachcomber Shacks up to 180 days in advance and have their space waiting for them no matter what time they arrive at the water park. There are free chairs available around the park, but these sometimes fill up, especially in the middle of the day. Premium beach chair spaces are available for rent up to 180 days in advance. Lodge Picnic Umbrellas include 2 lounge chairs, an umbrella, a cocktail table and 4 towels. A maximum of 4 guests can use this reserved space. If you did not make prior arrangements, you can stop at High n Dry Rentals to check same-day availability. Reservations can be made through Disney Recreation at (407) WDW-PLAY. Premium reserved spaces are available for rent up to 180 days in advance. Polar Patio include a large umbrella for shade, locker, all-day drink mugs, cooler with ice and bottled water, upgraded lounge furniture, service of an attendant (via a convenient call button) and towels. The attendant will be able to assist you with food orders (purchased at an additional cost) or any suggestions to enjoy your day to the fullest at Blizzard Beach. Six guests can enjoy the patio space; there is an additional fee for guests 7-10. Reservations can be made through Disney Recreations at (407) WDW-PLAY. 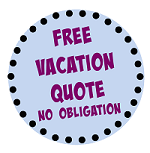 Check in at Snowless Joe’s or inquire here for “same day” rental if available. Guests will be given a bracelet that allows access to the private area. Life Jackets are provided to guests for free at Snowless Joe’s with a deposit of either driver’s license or credit card. You may also bring your own. Blizzard Beach offers small lockers (11″ X 9″ X 16″) costing $13 per day and large lockers (17″ X 9 ” X 16″) The lockers are located next to the restroom/change area and a refundable key deposit is required for the rental. Guests are encouraged to bring their own towels. If towels are needed, they can be rented for a nominal fee. Transportation to and from Blizzard Beach is by bus. From a Disney resort guests can take a bus to the water park, however you may have to transfer buses at Animal Kingdom. Parking is free at Disney’s water parks. For more about Parking see our Parking Information page. Guests who would like a break from the water can venture outside the park to the Winter Summerland Miniature Golf Course. Located adjacent to Disney’s Blizzard Beach Water Park Santa’s elves built a “snow” course and a “sand” course for those who would like to try their hand in a round of Miniature Golf. Winter Summerland Miniature Golf is one of two Miniature Golf Courses on Walt Disney World property and a round of golf is not included in the water park’s admission. A limited number of water accessible wheelchairs are available at Guest Relations for no charge on a first come first serve basis but guest must leave valid ID. No strollers or ECVs are allowed in the water. Guests may bring their wheelchairs into the Melt-Away Bay up to the midpoint of the rear wheels. The Blizzard Beach Melt-Away Bay and the Cross Country Creek has zero entry points. Melt-Away Bay’s zero entry points are located across from the Warming Hut snack bar and from the ramp from the Boardwalk near the coffee/iced cappuccino wagon. Cross Country Creek has additional transfer steps to assist in transferring from a wheelchair into a tube at Manatee Landing, Ice Gator Landing and Polar Bear landing. Most Blizzard Beach attactions require guests to transfer from their wheelchair to the attraction either by themselves or with help from a member of their party. A member of the party is required to meet the disabled guest at the bottom of the attraction to assist the rider get to the edge of the pool and exit into the chair. Cast Members are not permitted to physically assist in transferring Guests to/from their wheelchairs. Most restrooms are designed for access by Guests using wheelchairs. Two Companion-assisted restrooms are available. One at the First Aid station behind the Beach Haus shop and the other behind the locker rental area near Shoeless Joe’s shop. Sun protection products are available in merchandise shops throughout the park, including suncreen, sunglasses and short sleeve rash guard shirts for men, women and kids that offers 50+ Ultraviolet Protection Factor (blocks 98% of UVA and 99% of UVB rays) as well as Coppertone brand hats for adults and kids that offer Disney designs and 50+ UV protection. Looking for a Complimentary Chair? Check Blizzard Beach’s Tip Board! It will note which areas of the park currently have available chairs. The first couple of hours after the park opens and the last couple of hours before the park closes will have the lowest crowd levels. Be sure to utilize the ski lift to get to the slides. This will prevent you from having to walk up a lot of stairs throughout your day. Many sidewalks at Blizzard Beach are sprayed with water to keep them cool, however not all of them are kept cool in this way. If you are worried about your feet you can wear sandals or water shoes to protect them.